How tall is Daniel Craig? 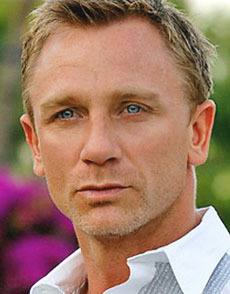 Daniel Craig was born in Chester, Cheshire, England, UK (March 2, 1968). Craig’s parents are mother Carol Olivia and fater Timothy John Wroughton. In 1972, they divorced. He has a sister named Lea. Craig liked going to the the Everyman Theatre in Liverpool with his mother and sister. At the age of 16, he began the National Youth Theatre in London. After that he graduated from the Guildhall School of Music & Drama in London. In 1992, His first marriage was with actress Fiona Loudon and he has a daughter named Ella from Fiona. Currently he is married actress Rachel Weisz.